This beautiful cat was met in 初台 (Hatsudai, Shinjuku-ku). He might look a bit wary on this photo, but this tomcat was actually quite friendly and not shy at all. 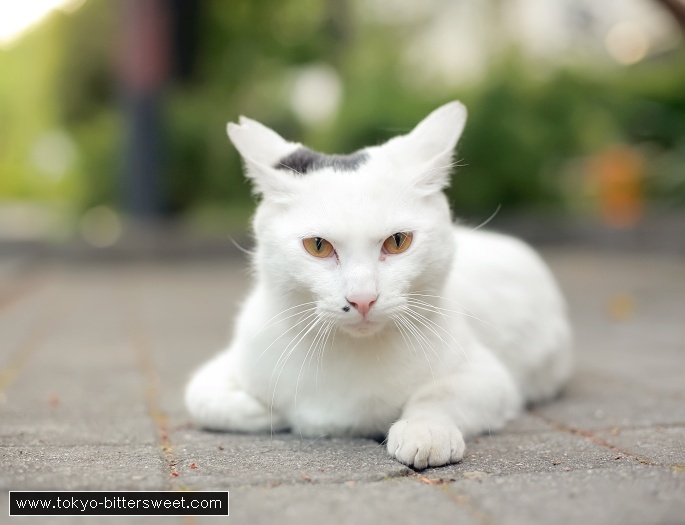 While most street cats are rather scared and will not let you near them, this kittie enjoyed being petted. I just hope he has a long, healthy life!